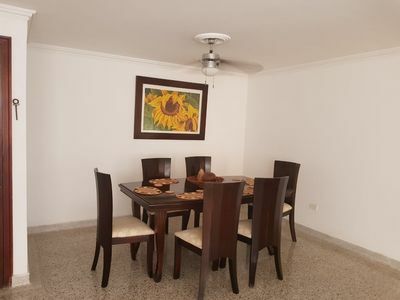 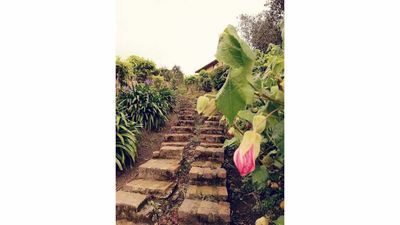 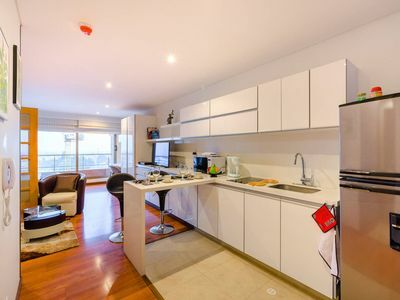 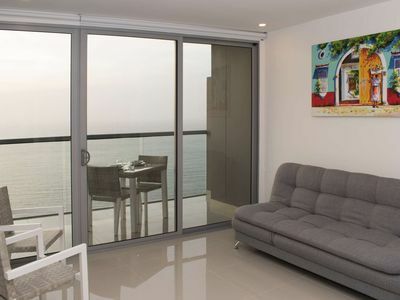 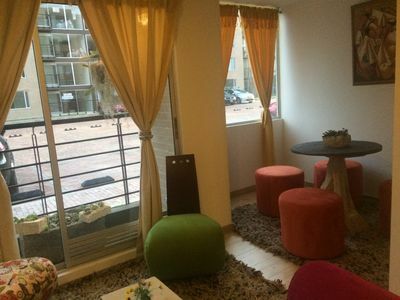 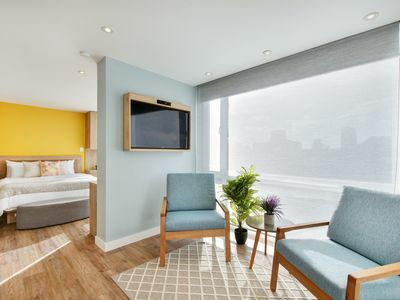 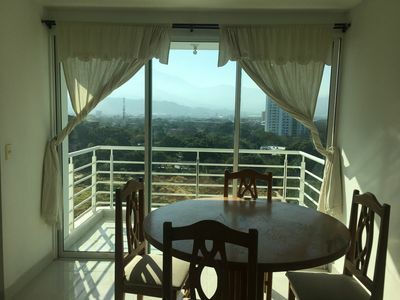 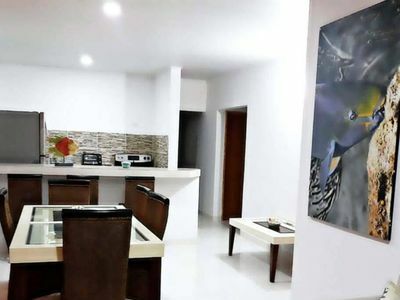 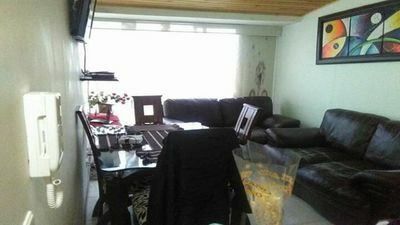 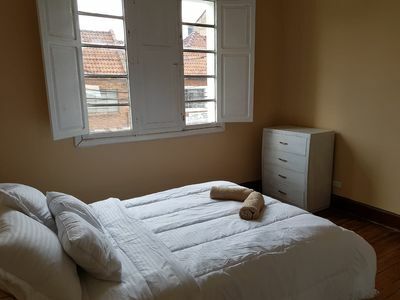 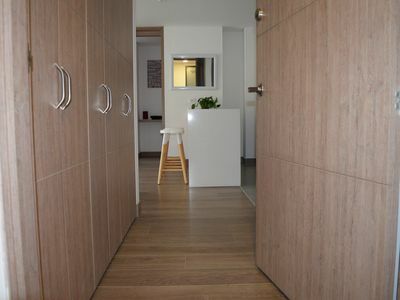 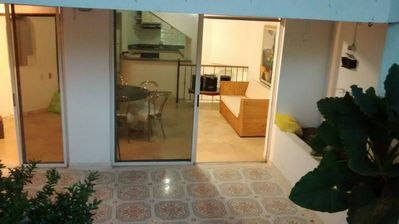 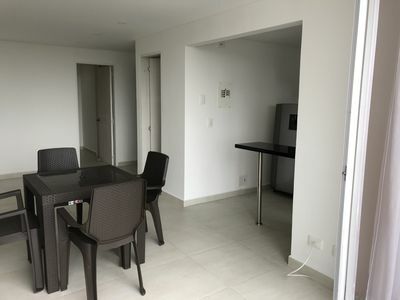 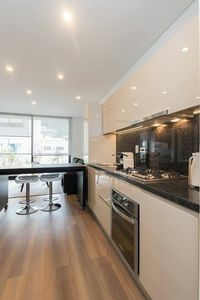 Rent apartment located in Soacha, neighboring municipality to Bogota D. C, in the sector of Ciudad Verde. 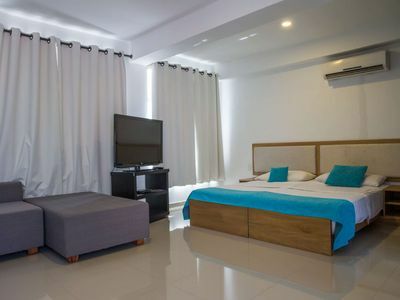 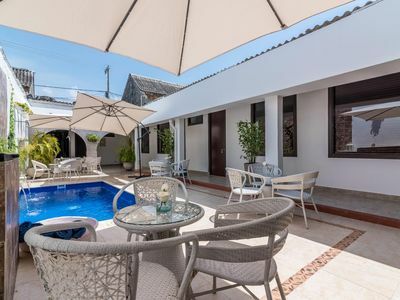 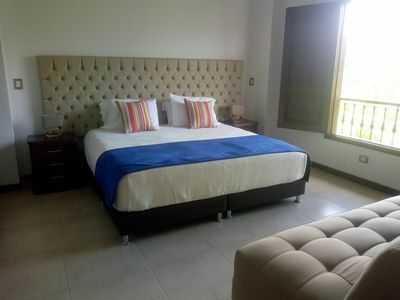 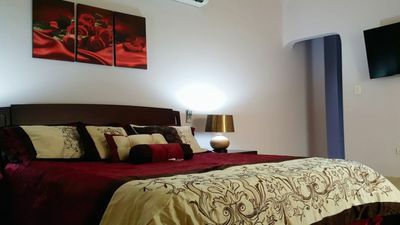 Fully equipped, room with 2 large armchairs, 32-inch TV with cable tv signal, fully equipped kitchen, laundry section with washing machine, 3 bedrooms with closets, two with double bed and one with single bed, 2 bathrooms ( common area and main piece), main piece with 32-inch TV. 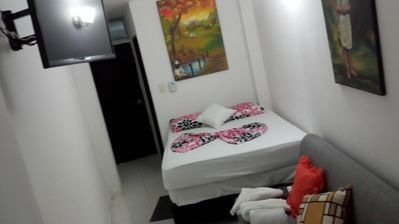 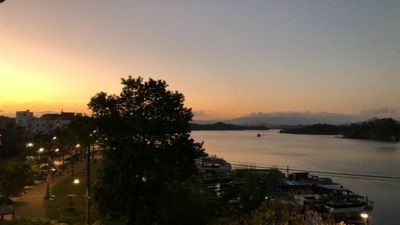 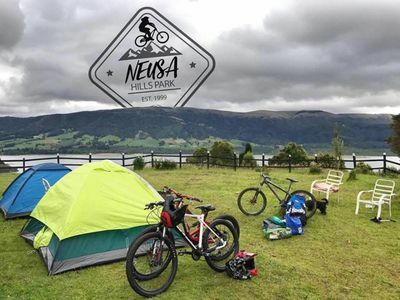 The perfect place for you!